The optional Dig Upgrade Set for the Wraith™ comes with servo linkage, slider parts and a new output shaft. When installed you have 4x4, 4x2 (freewheel) and Dig (rear locked). This aids in extreme climbs and descents and turning a tight radius. (not included - extra servo and three channel radio system also required). 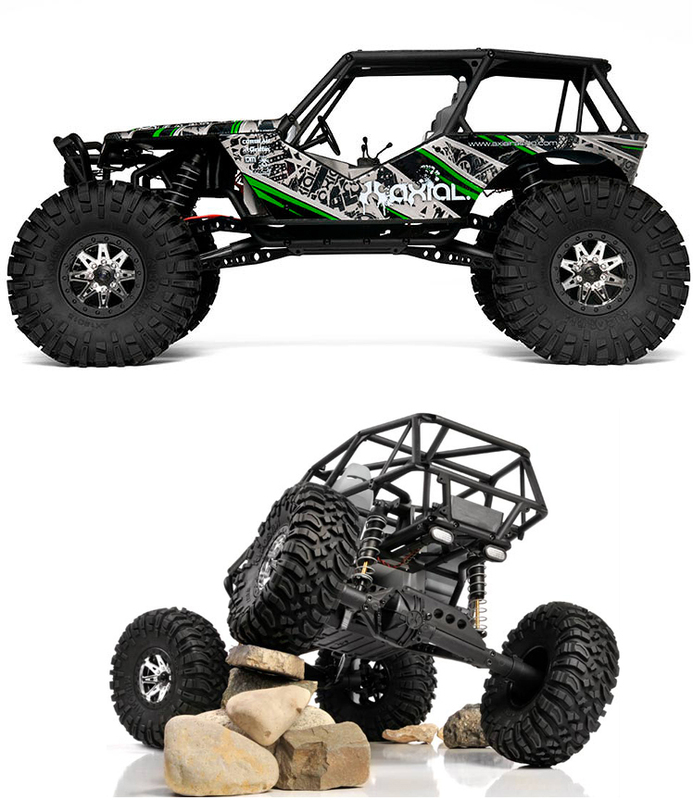 Ripsaw™ tires are mounted and pre-glued to 8-spoke Rebel™ Wheels right from the factory. The Axial 2.2 Ripsaw™ tire offers both a realistic and aggressive tread design for the ultimate scale appearance and performance. Pre-mounted 2.2 Rebel™ Wheels with 12mm hex mount which is reinforced with additional material and ribbing. Finished in a two-tone Black/Chrome scheme for great looks.